226 Fredde Drive Foristell, MO. | MLS# 18090879 | Homes for Sale in St Charles, St Louis, Lincoln and Warren Counties! Looking for a Free Foreclosure List? Call Cheri Peterson 314-283-7251 Our Team is on the Leading Edge when it comes to Technology! MOVE IN READY! Looking for a Vaulted Great Room Ranch w/Main Floor Laundry? Look no further you just found it. Total Electric so NO HIGH Gas Bills this Winter. Features Include a Spacious Open Great Room that opens to the Vaulted Kitchen w/Open Soffits, Smooth Top Stove, Maple Cabinets, Built In Microwave & Plenty of Counter Space. The Vaulted Master Bedroom features a Full Bath and Walk In Closet. White 2 Panel Doors & Trim. Freshly Painted Interior. There is an Office in LL, Finished Rec Room with Carpet just needs a ceiling, Half bath, TV and Electric Fireplace stays. 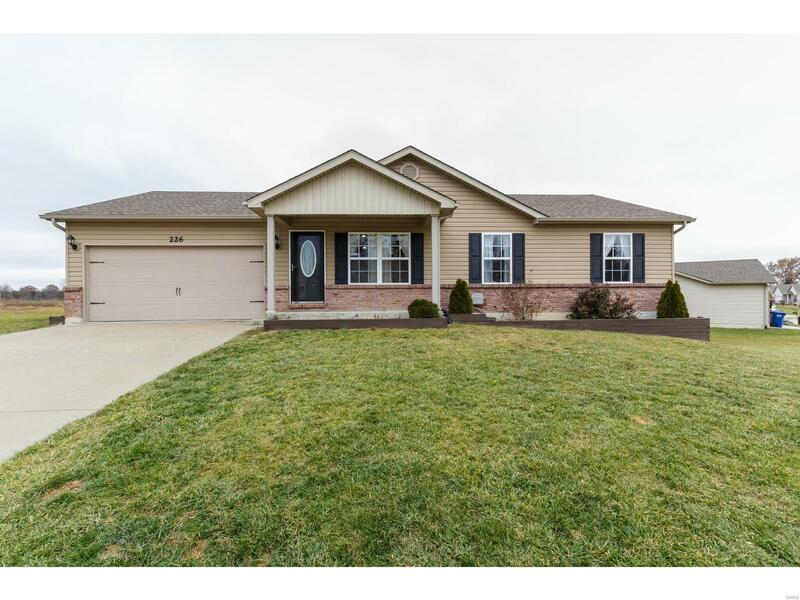 Great Curb Appeal & Located at the end of a Dead End Culdesac. Ready for Immediate Occupancy and can do a Quick Close. Aggressively priced. Architectural Roof & Enclosed Soffits & Fascia. Check out the comps and you do the Math! This Home should be on YOUR MOST Wanted List! Anything else is a Compromise!